My highlight of the event has to be the talk with Noble Igwe, in minutes I went from being indifferent about him to actually really liking him. He seemed very down to earth, I liked the whole mixing Igbo while speaking English when he talked about his father. I definitely enjoyed the talk. I think the only thing I didn’t really enjoy about the event was the food,all that fish on top of bread, coleslaw on bread etc was nothing to write home about. So much for not doing a review. Any who the dress code was floral , and guess what?, I barely own anything with floral prints, except maybe my bedsheets. I found a dress I liked, but it was too small fat girl problems , so I gave up until the day before the event, and then on the day before I mentioned that I didn’t have anything to wear and my mum gave me this jumpsuit , my mother also doubles up as my fairy god mother like in Cinderella. Lol! P.s: my mum runs a boutique. I wanted to add a flower crown but I just thought it would be a little too much, so I went like that. I should have added a flower crown, right? 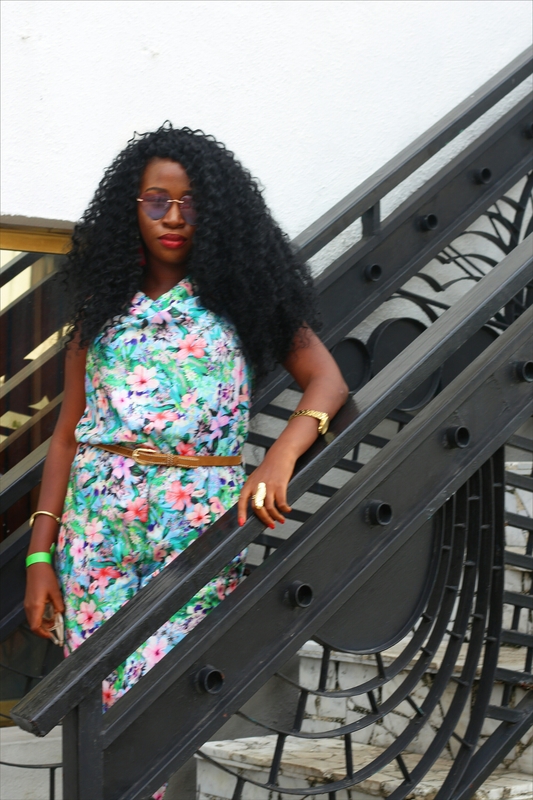 I think I’m going to buy more clothes in floral prints after this, or what do you think? Please subscribe to the blog , follow me on Instagram @tonyeigbani, like my Facebook page you can find that at the right hand corner of this page. 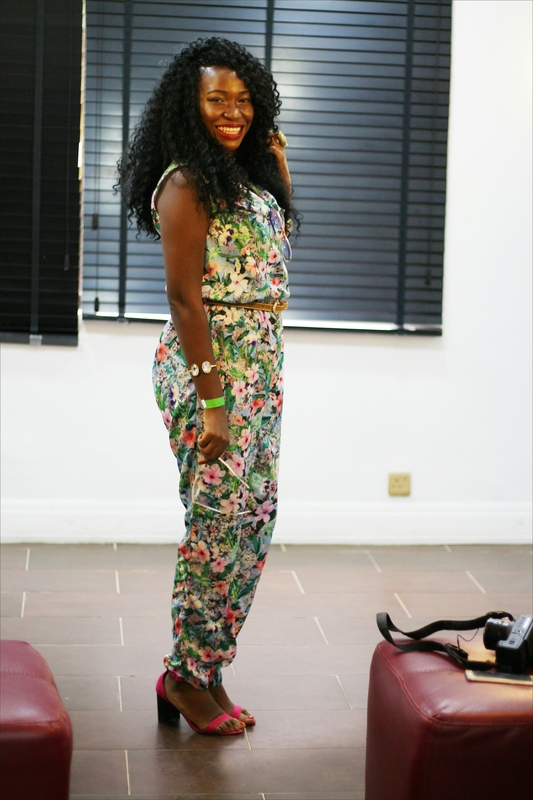 I also put up some pictures I took at the event on @thetonyeigbani insta. Lastly don’t forget to drop your thoughts in the comment section, I like to hear from you. Apparently, a lot of people have said the food wasn’t great. But it’s a first time, so I guess there’s always room for improvement. Your mum owning a boutique must be a blessing. 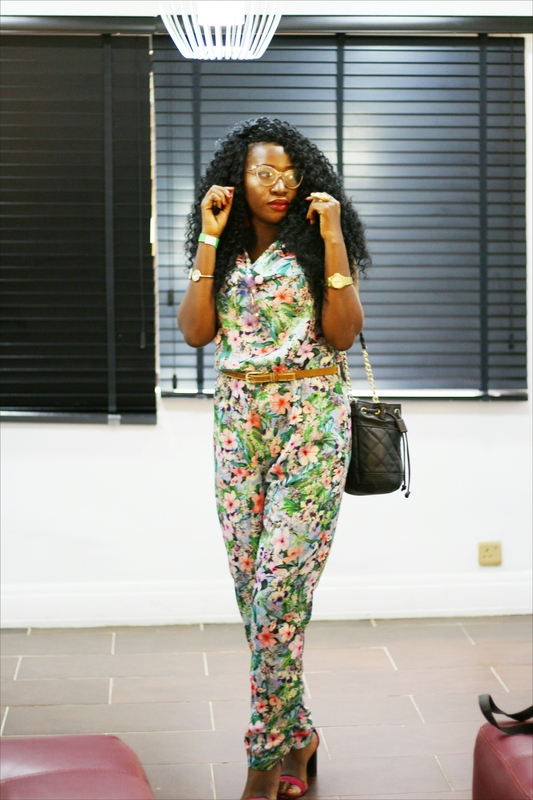 This is a nice jumpsuit! Aww I missed the event sadly… You actually look nice..I don’t think I own anything floral too lol.. Did you have to pay or what for the event? I like your blog so it would have been awesome to meet you!, I’m happy I’m not the only one.. Lol!. 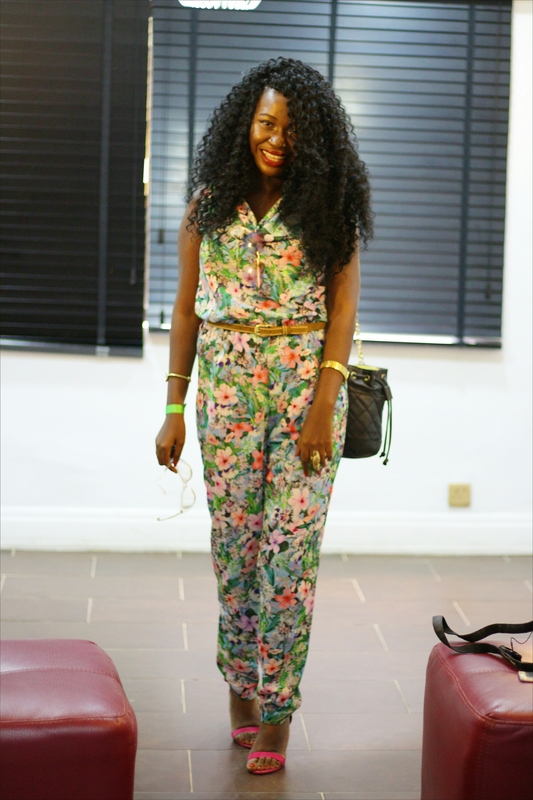 Yes, the event cost 2500 naira. Lol! I know right! I’d have just worn whatever I had though. Yay! I’m now happy I didn’t bother with the flower crown. 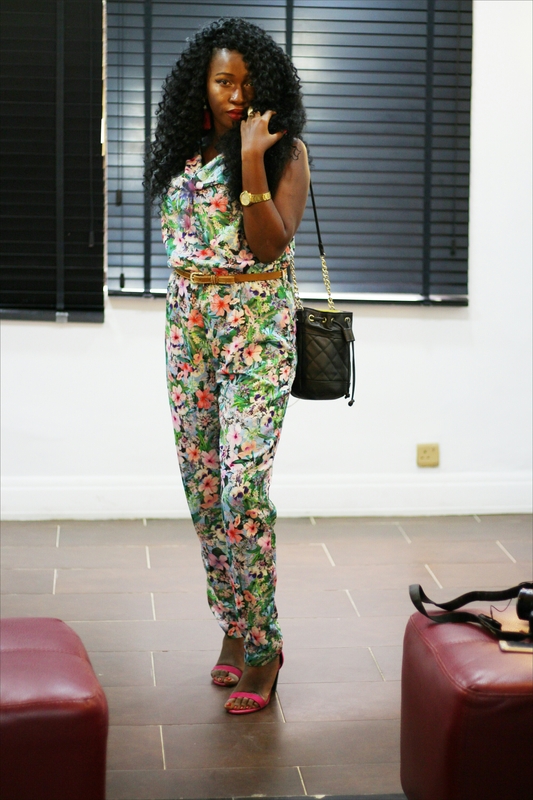 Lovely jumpsuit Tonye. Florals def suites you. Looks like an interesting event, to bad about the food. And your pics on your photography instagram are dope! Thank you Lize. It was actually interesting.